asknet AG, part of the Swiss-listed international technology and media company The Native SA (www.thenative.ch), significantly improved its business situation in 2017 and returned to profitability. The entry of the new majority shareholder, The Native SA, in November 2017 and the related capital increase further strengthened asknet's financial position, reflected in the high cash flow. Furthermore, the company remained without financial liabilities as of the balance sheet date. Operationally, the asknet group achieved major sales successes in the reporting period. In the Academics Business Unit, the expansion of the cooperation with long-standing partner IBM to the Scandinavian market deserves special mention. The cooperation with ANSYS Inc. the world’s leading manufacturer of simulation software, which was announced in December 2017, is another great achievement. The eCommerce Solutions Business Unit was also able to continue the successful sales performance of the previous year and won a total of nine new customers in 2017. Investments in technical and structural improvements represented another focus in the past financial year. Based on the continuously strong sales performance, and with a new partner at its side, asknet’s business situation will continue to gain momentum in 2018 and beyond. At 68.75 million euros, the Group's total output remained at the previous year's level (69.37 million euros) due to the first-time capitalization of development costs in the amount of 1.64 million euros. However, consolidated gross profits, the key performance indicator for asknet Group, declined by 5 percent to 8.52 million euros (previous year: 8.92 million euros). Sales revenues dropped by 4 percent to 66.16 million in the reporting period (previous year: 68.72 million euros), while the gross profit margin decreased slightly from 13.0 percent to 12.9 percent. In the Business Units, the situation improved compared to the previous year but was adversely affected by several one-off effects. The continued successful start of new Asian customer shops had the sales revenues in the eCommerce Solutions Business Unit rising by 1 percent to 49.25 million euros (previous year: 48.77 million euros). The positive performance of the new customer shops more than offset the strongly declining demand for a software release of a major customer. As this release yields particularly high margins, however, this led to a shift towards lower-margin new customer revenues, thus presenting a 7 percent reduction in gross profits to 5.59 million euros. Sales revenues in the Academics Business Unit declined by 15 percent to 16.91 million euros. This is mainly due to the fact that low-margin bulk software transactions could not be settled to this extent. This decline was offset by an increase in higher margin business and a strong performance towards the end of the year as a result of the new sales cooperation agreements. At 2.93 million euros, gross profit came in at the prior year level (previous year: 2.91 million euros). asknet Group’s earnings improved noticeably in 2017 and the break-even point was exceeded again. The previous year’s results had included extraordinary expenses related to the Norwegian tax issue. Altogether, asknet posted an operating result (EBIT) of 0.59 million euros in the reporting period (previous year: -1.65 million euros). asknet Group’s earnings before taxes (EBT) amounted to 0.58 million euros in the reporting period, compared to -1.83 million euros in the previous year. Consolidated earnings after taxes (EAT) improved to 67 thousand euros (previous year: -2.50 million euros). The Group’s operating cash flow amounted to 0.61 million euros in the reporting period (previous year: 0.36 million euros). Based on the capital measures implemented in 2017, asknet Group’s financial basis was adjusted for the one-time effects of the previous year. As of the balance sheet date, asknet also maintained a high level of cash and cash equivalents of 4.46 million euros (previous year: 5.16 million euros). The Group’s equity ratio improved to 19 percent (previous year: 14 percent). “Over the past years, we have implemented a number of measures and programs to generate new growth. The entry of our new majority shareholder, The Native SA, in November 2017 is another key element for successfully shaping the future of our company and opens up additional opportunities. The entry has been well received by our customers and partners and has strengthened our position in the market. Operationally, we are also experiencing a clear tailwind, as can be seen from a large number of new customers and sales partnerships,” commented Tobias Kaulfuss, CEO of asknet AG. 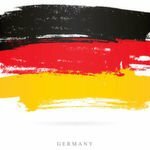 “The cooperation with The Native SA holds considerable synergy potential for the eCommerce Solutions Business Unit, where we not only want to share resources but also win new customers together adding content marketing and other competences to an already very competitive eCommerce Services suite of asknet AG. In the Academics Business Unit, we aim to further consolidate our market share in the core German-language markets and to expand our business in carefully chosen new European markets. Both Business Units had a promising start to the new year, enjoy full business and financial support of The Native SA and are now at the core of The Native SA business strategy,” commented Sergey Skaterschikov, Chairman of the Board of Directors of The Native SA and CFO of asknet AG. The Executive Board of asknet AG projects a strong increase in consolidated gross profits for the full year 2018. Against the background of further investments in the technological basis and additional human resources, earnings before taxes (EBT) are expected to remain positive. The full Annual Report for 2017 is available on the company’s website at www.asknet.com. asknet Group is an innovative supplier of e-business technologies and solutions for the global distribution and management of digital and physical goods. Founded in 1995 as a spin-off of the Karlsruhe Institute of Technology (KIT), the company is a pioneer of modern e-commerce with over 20 years’ experience in the field. 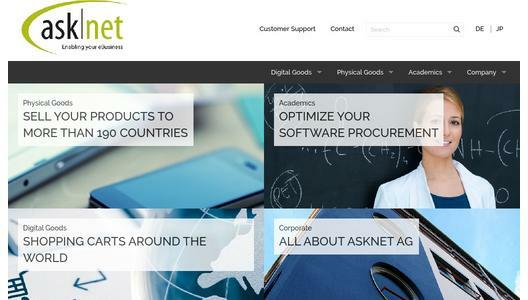 asknet’s eCommerce Solutions Business Unit (previously Digital Goods and Physical Goods Business Unit) enables international manufacturers to successfully market their products in over 190 countries. The core product, asknet eCommerceSuite, covers the complete sales process and is suitable for manufacturers of both digital and physical goods. In addition, the company offers stand-alone services and solutions along the value chain. asknet’s Academics Business Unit assists customers from the research and education sector in purchasing and managing software and hardware. Thanks to its close relations with over 80% of Germany’s universities and research institutions, asknet is intimately familiar with their needs and requirements and can offer them specific solutions. asknet is part of The Native SA, the Swiss-listed content marketing, technology and e-commerce services group. For more information, visit www.asknet.com and https://investor.thenative.ch. The Native SA is the Swiss-listed (NTIV: SWX) international technology and media company that enables corporate clients around the world with the best-in-class e-commerce, data analytics and blockchain technologies, payment services, customer support, and content & digital marketing.